There is something quite spectacular and otherworldly about boat racing. While weather conditions affect the conditions of many other types of racing, there is nary something as unpredictable as the ocean herself which is what makes boat racing so spectacular to witness. Here we have assembled a list of the most prestigious boat races in the world. Please note, this list is by no means exhaustive, it’s simply a list of the races we term our favourites – the ones we look forward to the most. Having started in 1826, Cowes Week is one of the longest-running regular regattas in the world and is made up of 40 daily sailing races by 1,000 boats and 8,000 competitors. Ranging from Olympic-level competitors and world-class professionals to hobbyists, Cowes Week takes place every year in August on the Solent – the stretch of water between Southern England and the Isle of Wight – which is made particularly difficult by strong double tides. The regatta is famed for its fireworks display on the final Friday which has become iconic. Held every 3 years, the Volvo Ocean Race was originally known as the Whitbread Round the World Race after it’s original sponsor the British Whitbread Brewing Company. The route of the Volvo Ocean Race changes to accommodate different ports of call, but typically departs from Europe in October and traditionally contains either 9 or 10 legs. Each of the admissions is made up of a team of 7-11 professional crew who are tasked with racing day and night for more than 20 days at a time on some of legs – certainly more challenging than online gambling casino games! Founded in 1989 by Philippe Jeantot, the Vendée Globe is a single-handed non-stop yacht race around the world which is conducted without assistance. The race has taken place every 4 years since 1992 and is named after the place in which the race starts and ends – the Département of Vendée in France. Considered to be an extreme expedition of human endurance, the Vendée Globe is seen as the ultimate test in ocean racing. 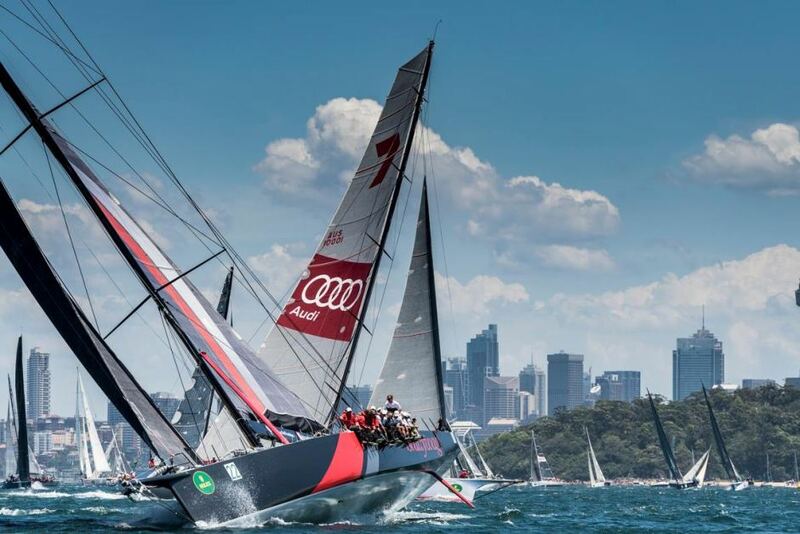 Widely considered to be one of the most challenging yacht races in the world, the Sydney to Hobart Yacht Race is held annually starting on Boxing Day, from Sydney, New South Wales and finishing in Hobart, Tasmania. Raced over approximately 1,170 km or 630 nautical miles, the first Sydney Hobart was held in 1945 and now attracts maxi yacht competitors from all over the world. The LDV Comanche set a new record finishing in 1d 09h 15′ 24″ in 2017 beating Perpetual Loyal’s record set the previous year. Organised by the Royal Ocean Racing Club of the United Kingdom, the Fastnet Race is a celebrated biennial offshore yacht race which is considered to the one of the classic offshore races. The race starts at the Royal Yacht Squadron on Cowes on the Isle of Wight and traverses 1,126 km or 608 nautical miles to reach Plymouth. Since Fastnet takes place during August, competitors are often challenged by gale force winds and unpredictable low-pressure systems making the race particularly arduous.